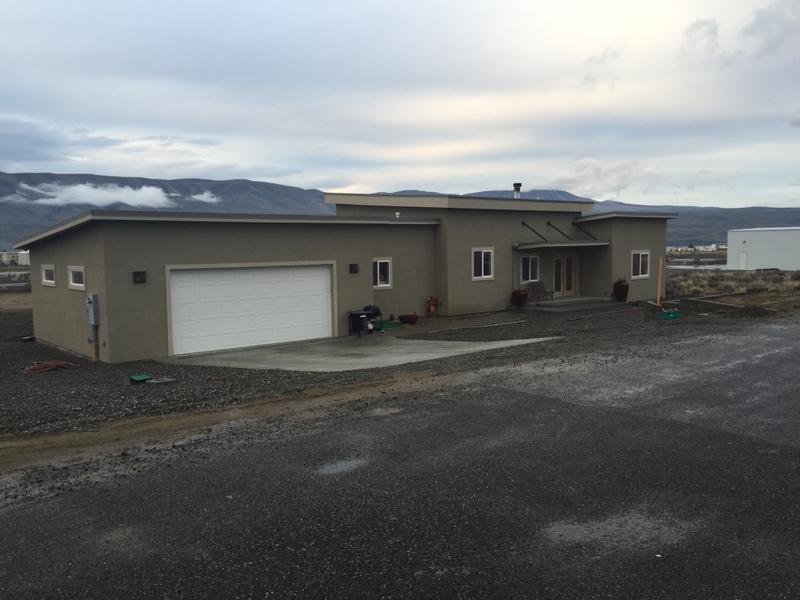 I always love to see the projects that I have drawn blueprints for after they have been completed and are being used for what they were intended to be used for and so recently Elaine and I decided to go on a drive and visit a projects in Central Washington. The home was located in Desert Aire, an interesting community on the Columbia River about 22 miles south of the Vantage bridge. A thousand-acre development originally developed for the well-off to build vacation and seasonal homes and enjoy the golf course and marina. A billboard calls it “The Palm Springs of Washington” and indeed it gets only 7 inches of rain compared to Spokane’s 16.5 inches. I had never been there before our recent trip and had never heard of it before last winter when I got an email from Karen Chiaramonte, of Kirkland, who had been designing a new house on the same software program, Sketchup, that I use and love. I was extremely impressed at both how well she had learned Sketch Up and how far along she had gotten with the design for the home that she and her partner, Cecil Rodreguez wanted to begin building in the early Spring and then live in with her parents. For the most part Karen had the layout nailed and I design the roof and helped with some ideas and practical adjustments to make sure that the home that she had envisioned came to life in the best possible form. 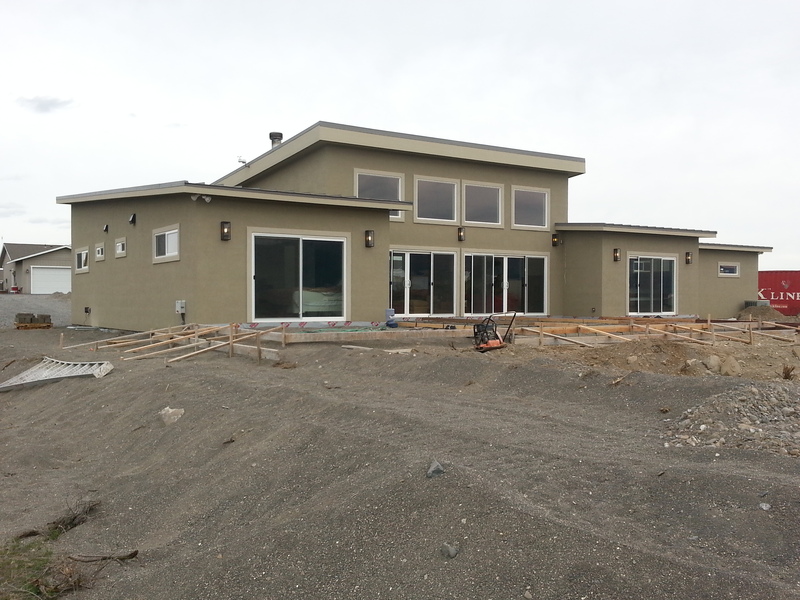 Once the model was hammered out, I drafted a full set of plans which they gave to their builder who got permits and went to work building this great home. 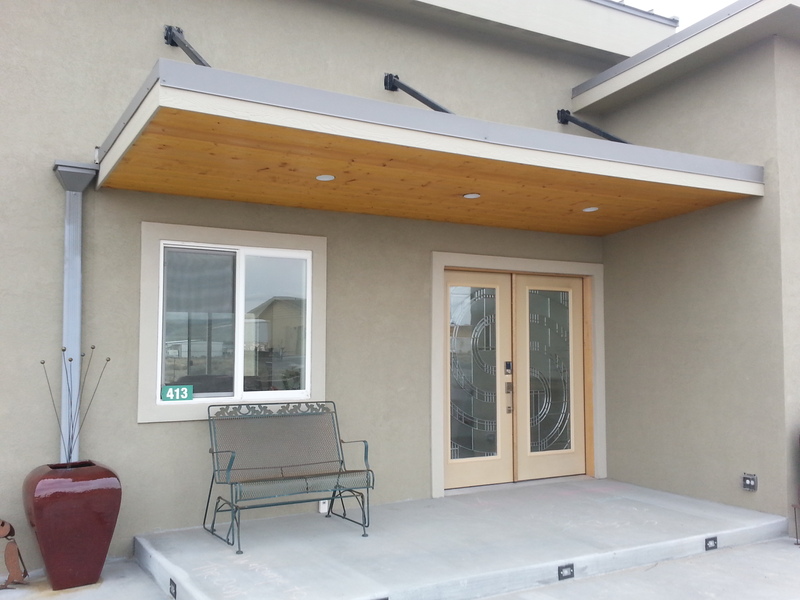 Their modern home design in Central Washington was a standout in the community. 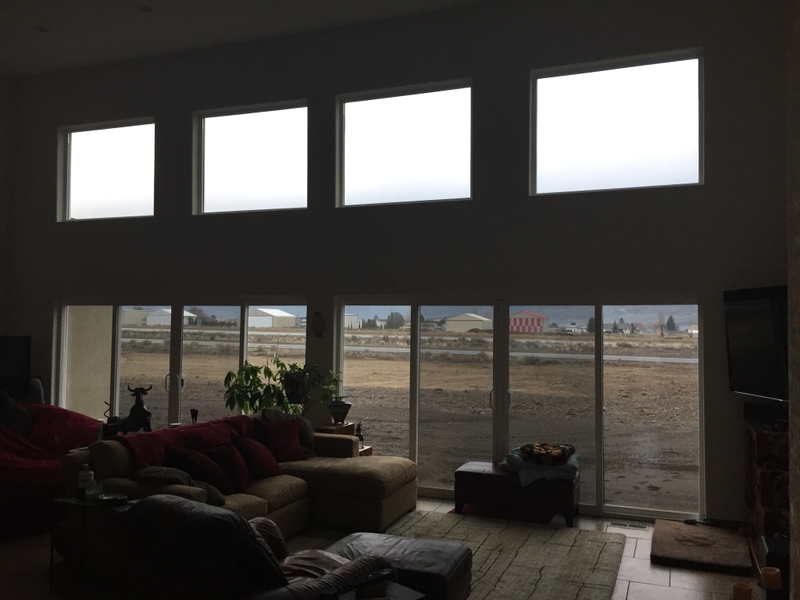 Windows bring the outside in and expand interior spaces. With a ceiling sloping from 14′ to 12′ and all that glass, the great room of this home is very well lit and spacious. The view out back looks across a small airstrip to the mountains bordering the west bank of the Columbia River. 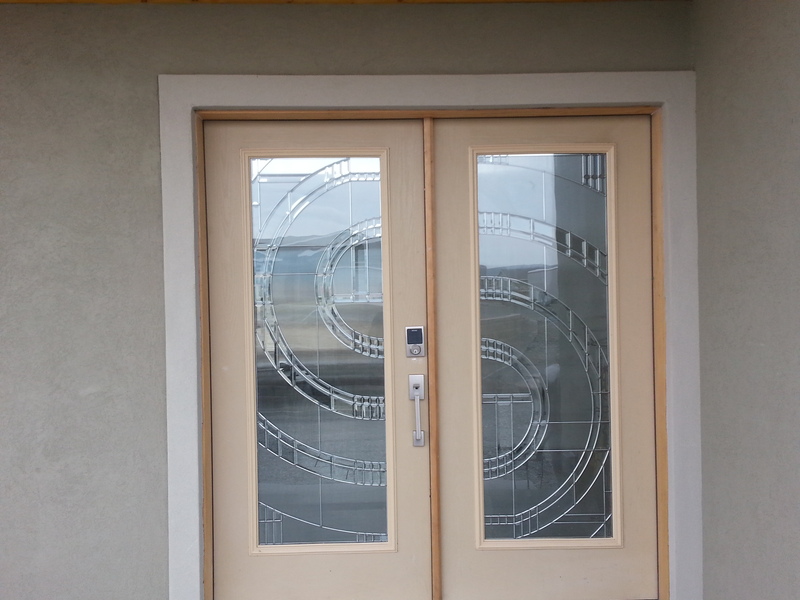 Elaine’s favorite part of the exterior design was the front entry. Especially their dramatic front door. While I love the whole house, my favorite part was that they appreciated my efforts on helping to design their beautiful new home that they recently hired me to draft plans for the airport hanger they are planning to build on the lot next door. That ought to be worth another trip, or atleast a side trip on way to Seattle someday soon.